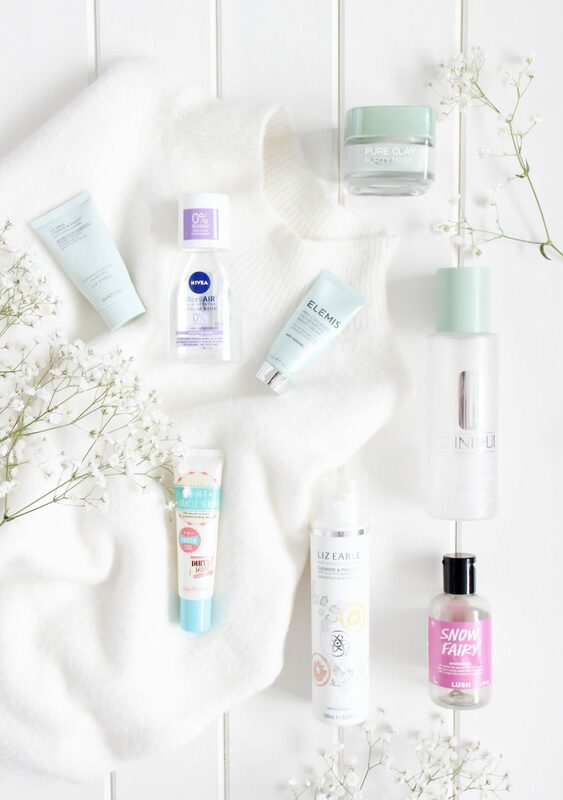 It is that time again, a huge list of empties is to follow along with my thoughts on them and whether I would re-purchase. It is funny in that by the time I have collected these products, photographed them and then got around to editing and uploading; I have them already started to compile a new empties pile. It is never-ending. You can catch up on my previous empties posts here if you so wish, however, to keep things nice and straight forward for a Sunday I am going to jump straight in with my thoughts. 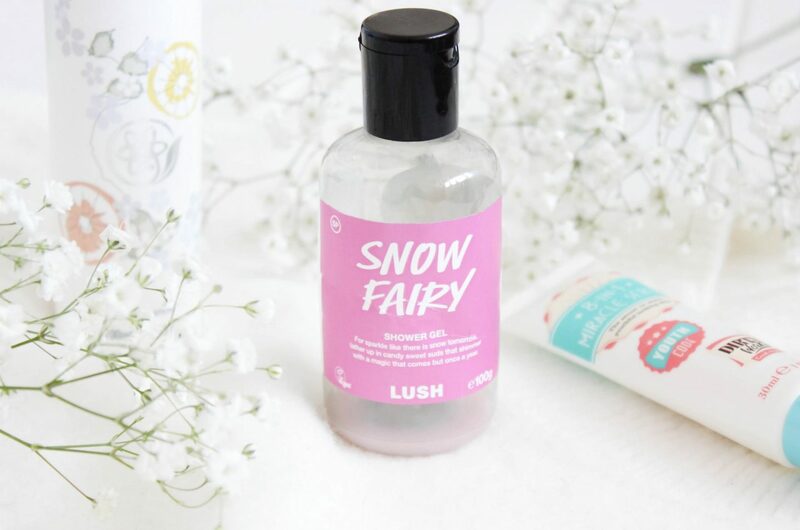 Ahh Lush Snow Fairy, I remember when everybody used to go crazy for this each Christmas. I received a mini one last year and felt immediately pulled back to 2014. It is a great little shower gel that smells of bubblegum and of course, is bright pink with a slight glitter to it. It is a fun product and I would repurchase it for nostalgic purchases each Christmas, although I would only pick up the small one as it really is quite expensive for the amount you get. Liz Earle Cleanse and Polish has been one of my go-to cleansers for years now. It really is a gorgeous product and I would still happily recommend it to others. Recently I have used up the original version (in mini form) and one of the limited edition scents in Grapefruit and Patchouli. In truth, I probably won’t purchase any more of the limited edition scents (as nice as they are in terms of packaging and scent) as I find that the texture of the product is different. It seems thinner compared to the original in my opinion, plus, I just miss the original scent too much so I am going back to my old faithful. One of the products featured here also made it into my skincare favourites of 2018. The Dirty Works 8-In-1 Miracle Serum which can be purchased from Sainsburys and Amazon. I have used this for a while now on and off within my routine and find that it works a treat at hydrating my skin before I put on my moisturiser and makeup. It is cheap and cheerful and I like it. For clarity, I was sent this ages ago to feature but I have since repurchased it for myself. A product which I will not be re-purchasing, due to the fact that it has been discontinued is the Clinique Mild Clarifying Lotion. Now, this has actually been reformulated as opposed to discontinued, however, my point is that you can no longer buy this particular version that I had. This contained Salicylic Acid and so does the new version, however from what I understand, there is less in the new version. Having said that, I have not tried the newer version so cannot compare how it works in comparison to this. In truth, I did not see that much difference in my skin when I was using this either, it was for me a bit of a flat product and it left me craving more of a result. A micellar water that isn’t Garnier, shock horror! The Nivea Micellar Water was pleasant to use and yes I would ultimately repurchase this if needed. In truth I am really rather loyal to Garnier, however having since used this now on a couple of occasions I will now tend to look to see which out of the two brands has the best offer on at the time; I’ll then go with the cheapest. The last two products I have to share with you today left me ultimately quite underwhelmed. The first is the L’Oreal Purity Mask. Since launch I think there are now possibly five or six masks within this range, some which I have tried, others I have not. The Purity Mask for me didn’t really do anything to my skin that the charcoal version didn’t. It was a nice mask to use in terms of texture but that was about it, plus, despite the lid being screwed on after use I did notice that the masks did dry out a bit in the tub and became thicker to use and the of course harder to apply to the skin. Technically this isn’t all used up, however, it is going in the bin as it is now quite unusable. The second product may come as somewhat of a surprise and it pains me to even suggest it as on a whole I adore Elemis. However, the Elemis Pro-Collagen Oxygenating Night Cream (I had a sample size) I found left me wondering what it was actually supposed to do. Given the price of this moisturiser, I was expecting more. The only thing I would say is that perhaps due to the sample size I had, maybe a longer period of time was needed to start seeing results. That’s almost a given, however, after this sample size, I am not inclined to try it again at this stage. So that is it, until next time. What have you managed to make your way through this month? I have just finished off Sunday Riley Luna Oil and I miss it already.